The leather industry, as a global industry, is in a fast changing business environment that is particularly challenging for SME. In order to remain competitive, companies must be able to adapt to these changes. Shortage of raw materials, the globalization of production, environmental reasons, and the change of the profile of the leather industry outside EU reshaped the model for leather production in Europe. But Europe remains the leader in fashion, design and quality, as well as in the scientific and technological innovation. New opportunities arise from exploiting new technologies, new innovative materials and new business models. 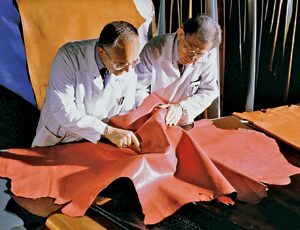 In that context, the necessary qualification requirements for working in the European leather industry must be redefined to reinvigorate the labor market with highly skilled professionals. LEAMAN aims to provide the instruments to re-engineer the leather industry and to offer to the existing and aspiring managers of the leather Industry the most up-to-date information and knowledge tools.